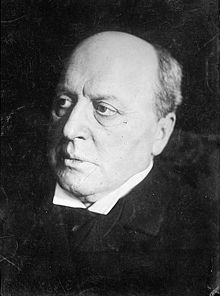 Henry James (1843-1916), American novelist and critic, was an innovator in technique and a distinctive prose stylist. More than any previous writer, James refined the technique of narrating a novel from the point of view of a character, thereby laying the foundations of modern stream-of-consciousness fiction. Among his many acclaimed novels are "The Portrait of a Lady, The Ambassadors, The Golden Bowl, "and "The Wings of the Dove.". The following is a personality profile of Henry James based on his work. Henry James is unconventional and somewhat inconsiderate. He is laid-back, he appreciates a relaxed pace in life. He is empathetic as well: he feels what others feel and is compassionate towards them. But, Henry James is also intermittent: he has a hard time sticking with difficult tasks for a long period of time.